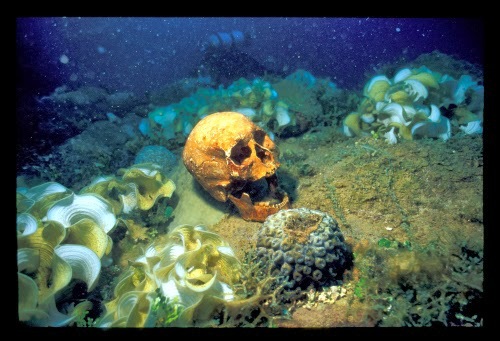 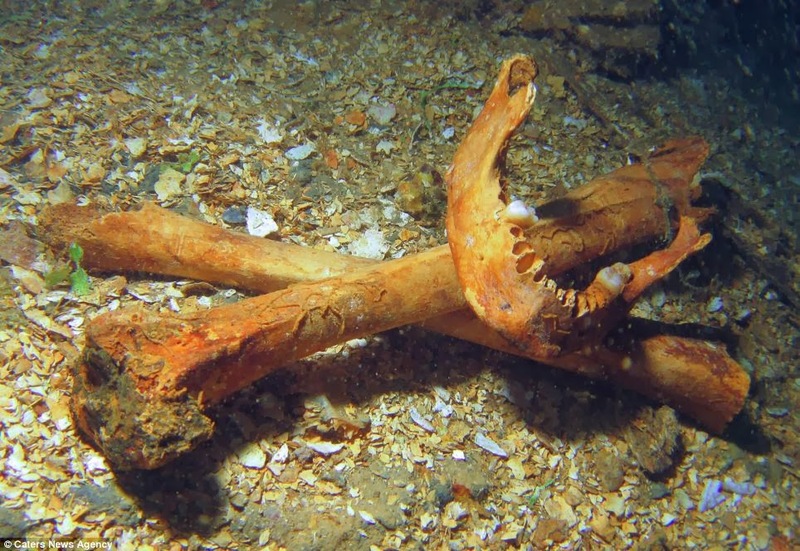 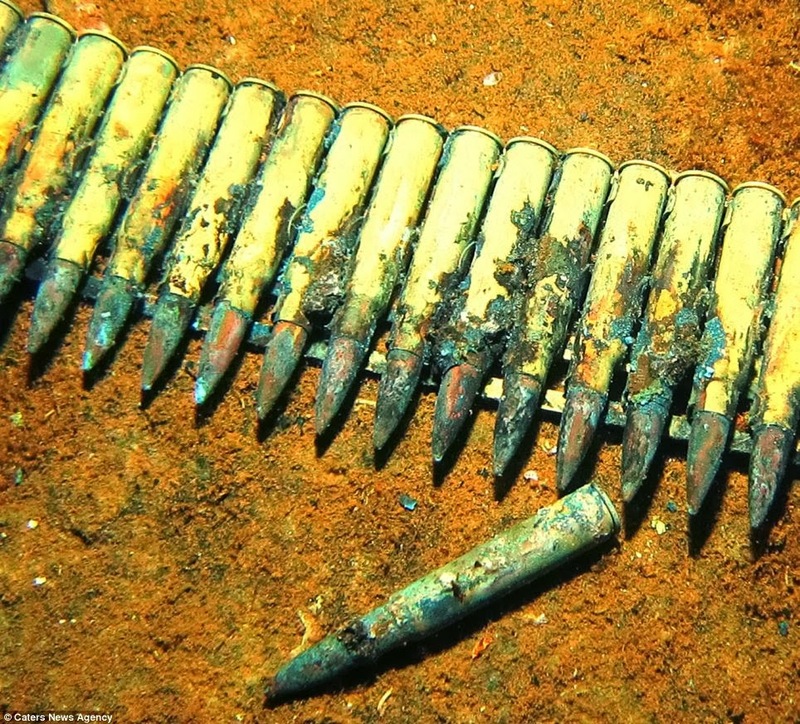 World Archeology: Gas masks, skulls and bullets: Haunting underwater World War II artefacts from ship graveyard in Chuuk Lagoon captured by British photographer. 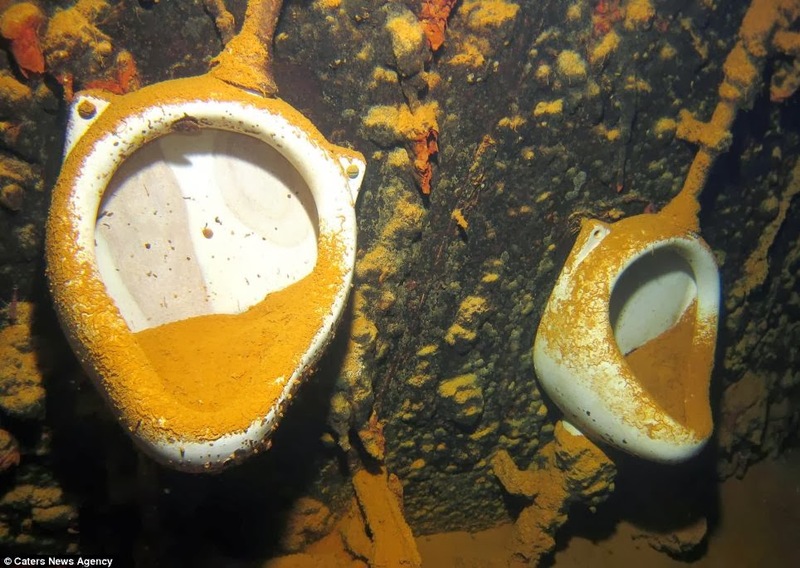 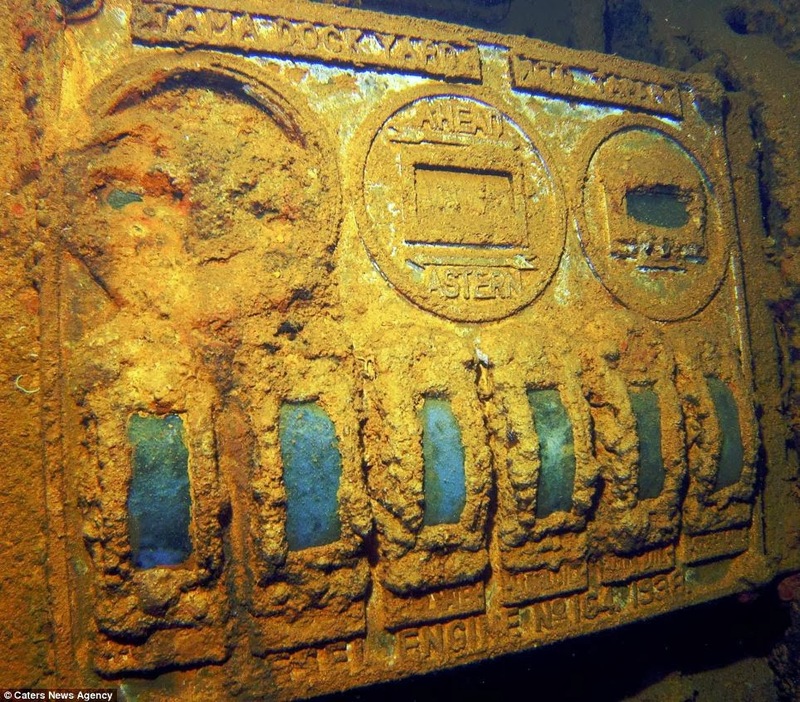 For 70 years, they have sheltered at the bottom of a clear blue lagoon... which happens to mask the largest ship graveyard in the world. 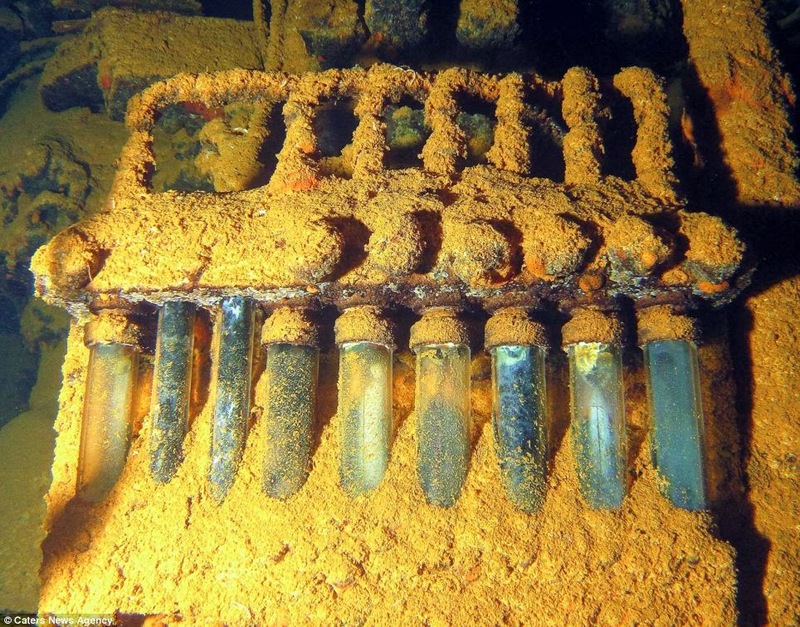 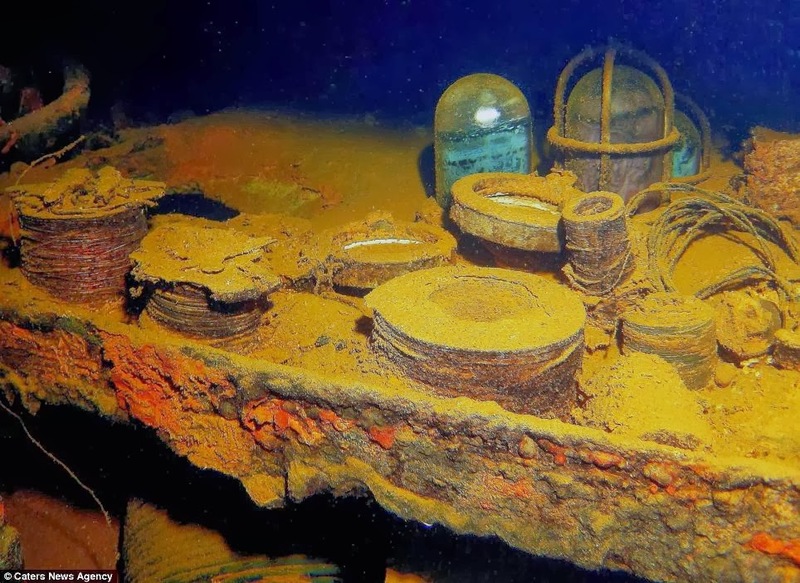 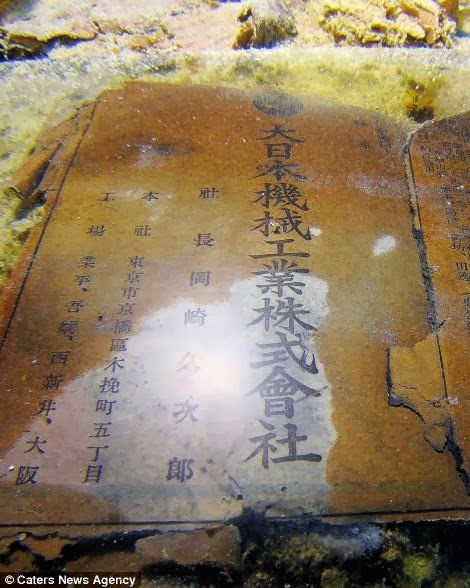 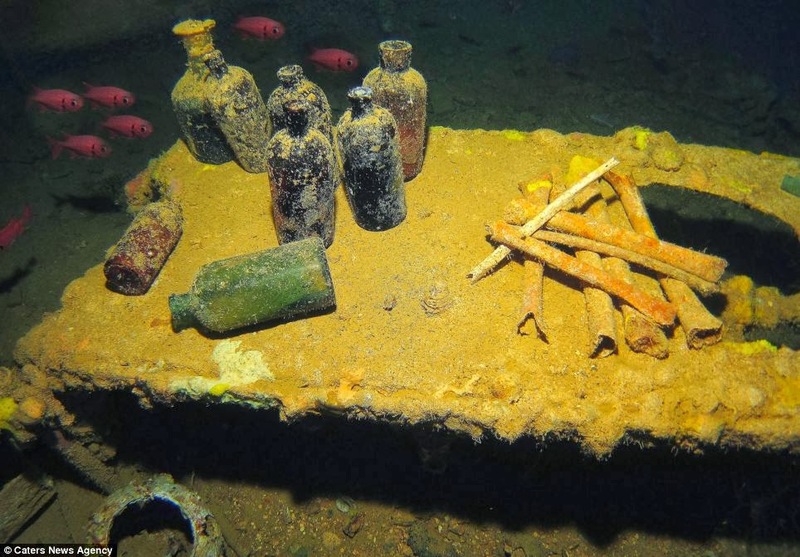 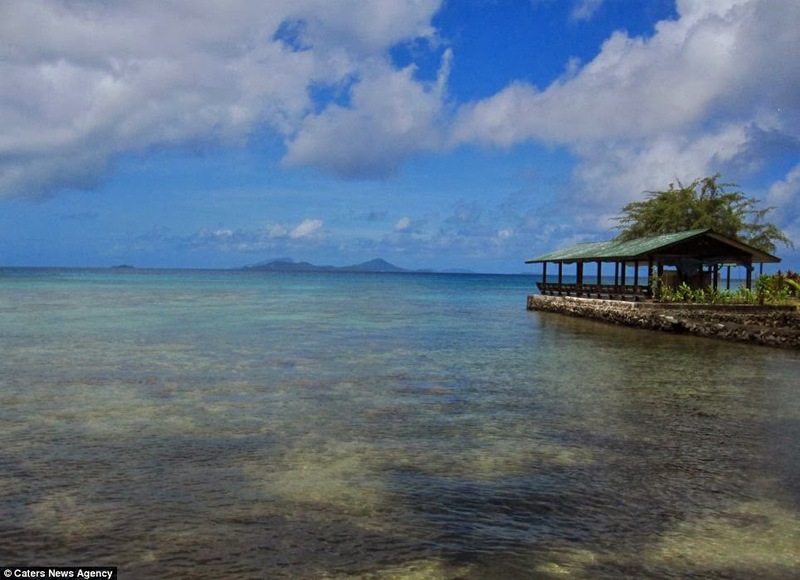 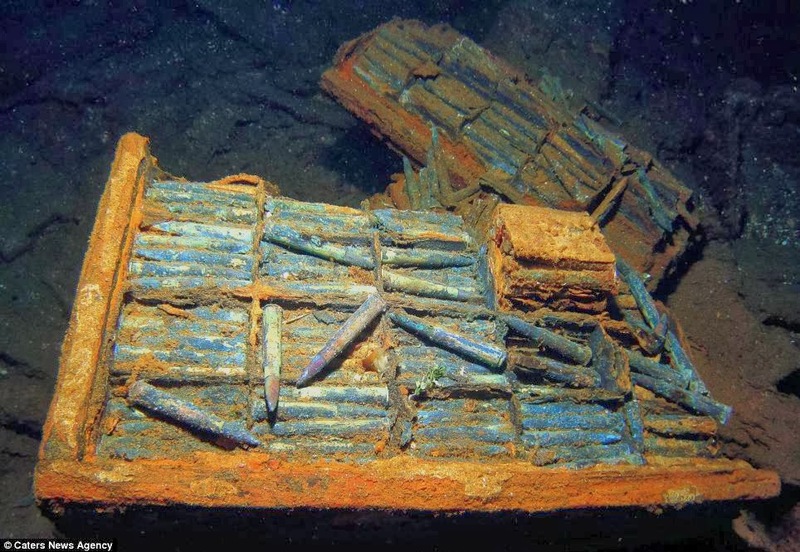 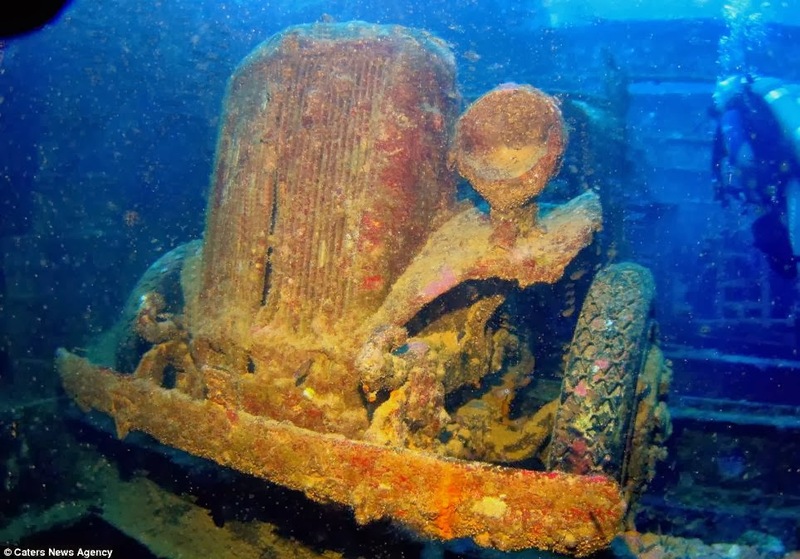 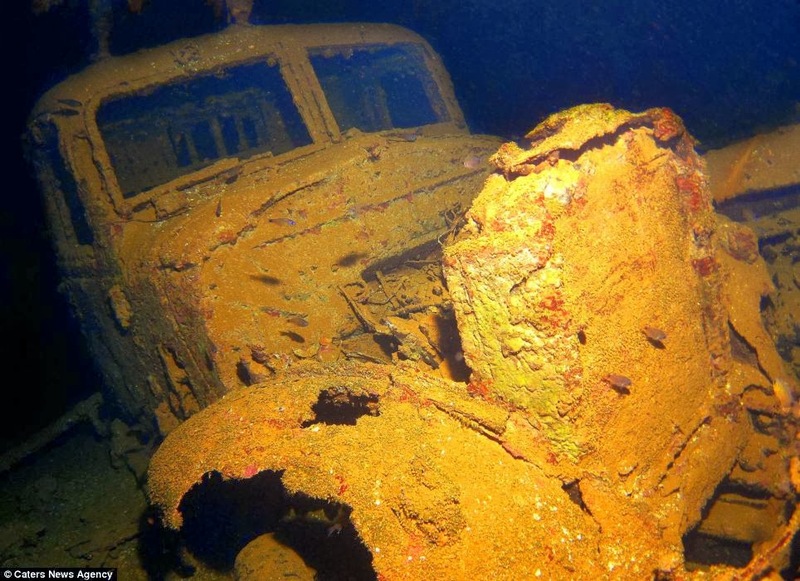 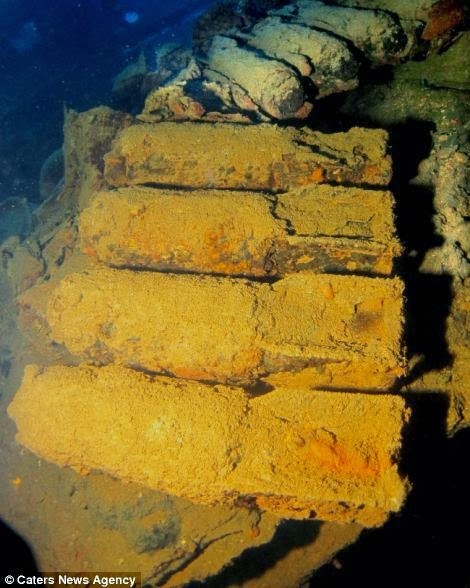 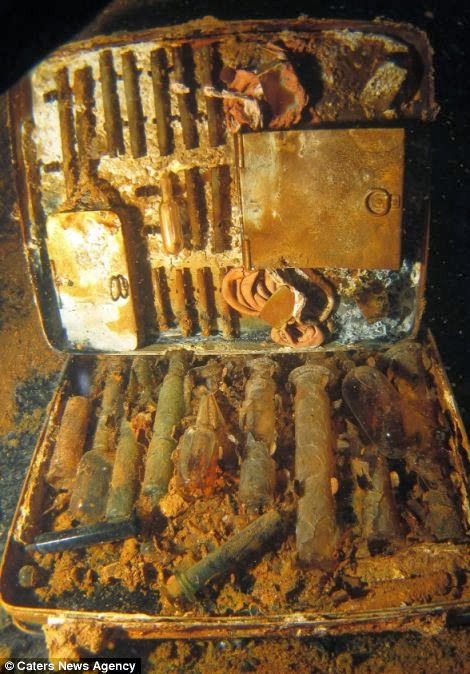 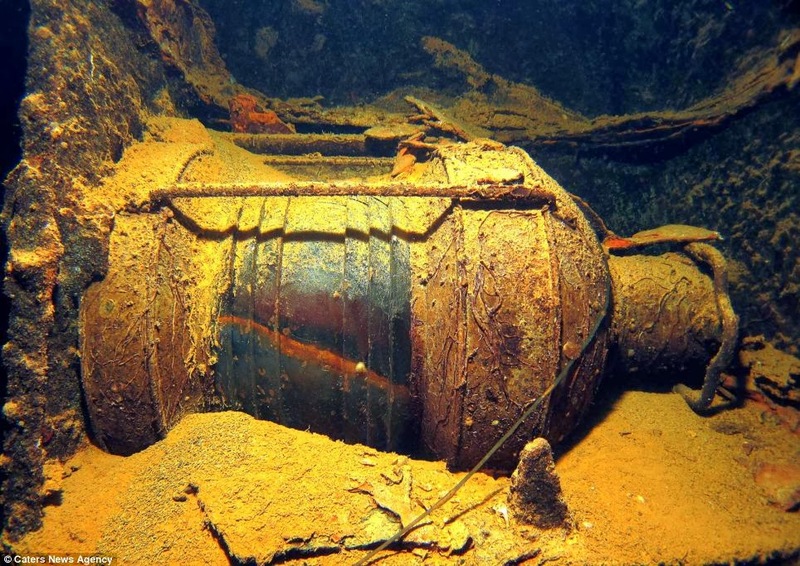 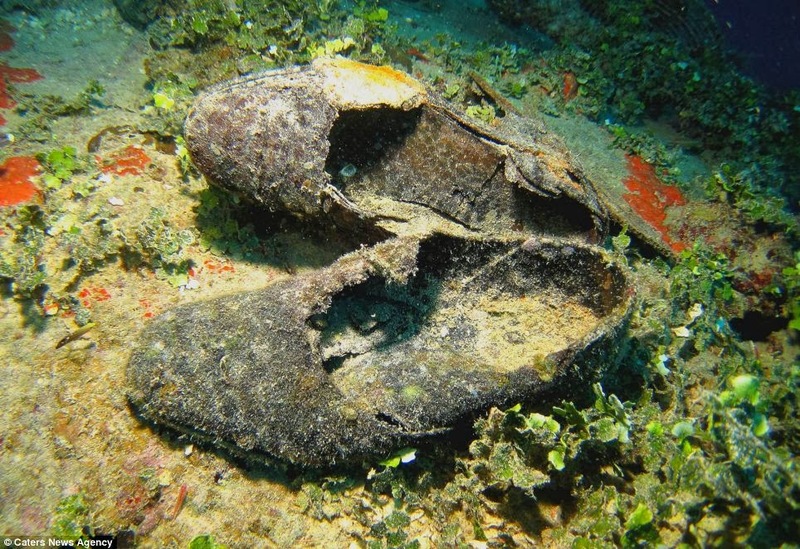 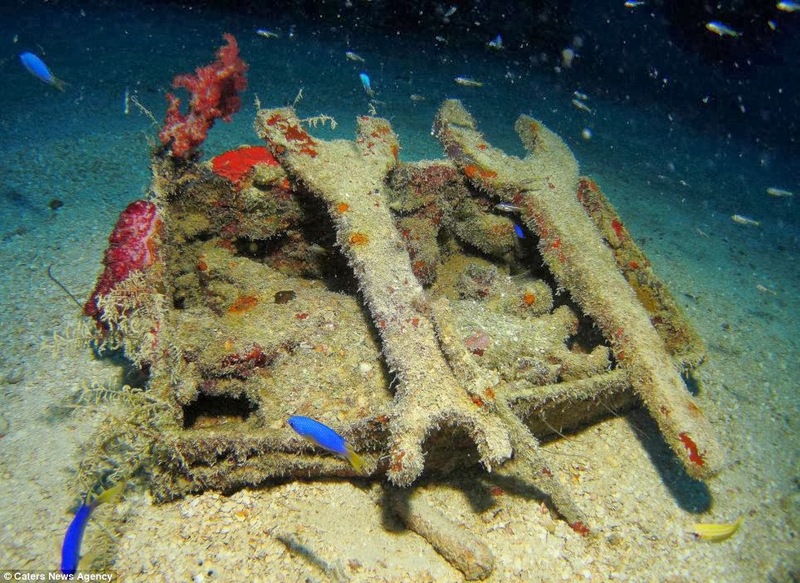 Now, a photographer has captured the World War Two artefacts that lie beneath the surface of Chuuk Lagoon in the Central Pacific. 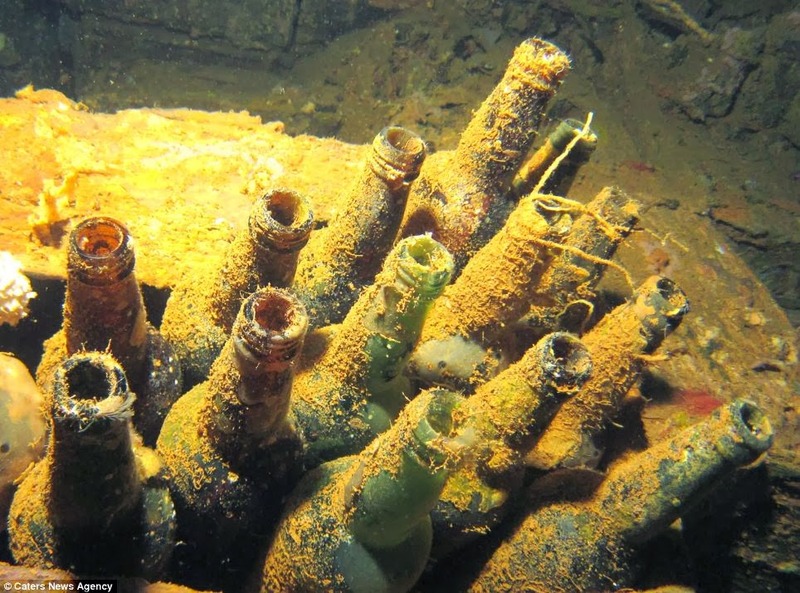 The preserved items include gas masks, human skulls and metal bullets - as well as personal photographs belonging to wartime victims. 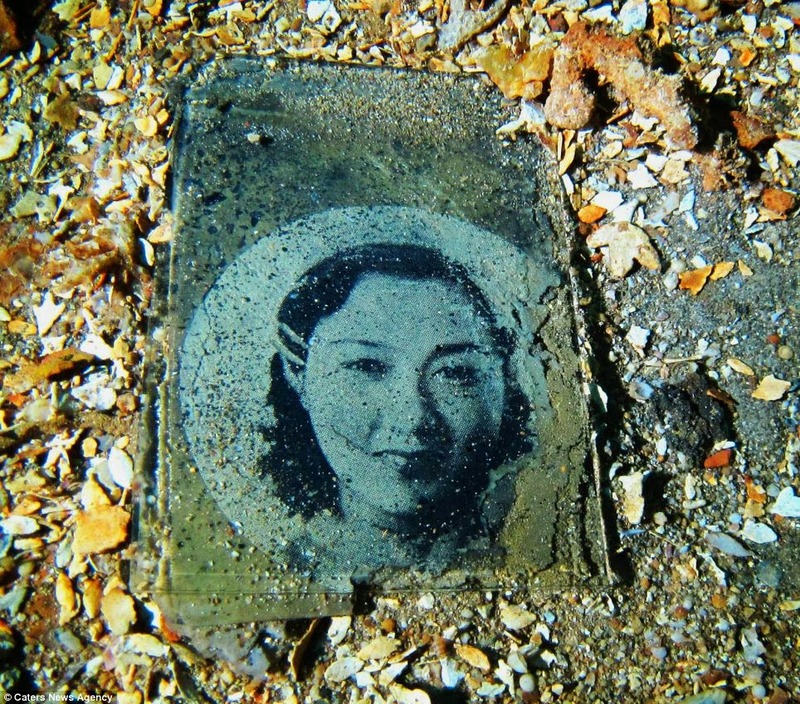 The lagoon was Japan's main base during the war, but in 1944, U.S. forces launched a fatal attack - sinking more than 60 Japanese warships and 250 planes. 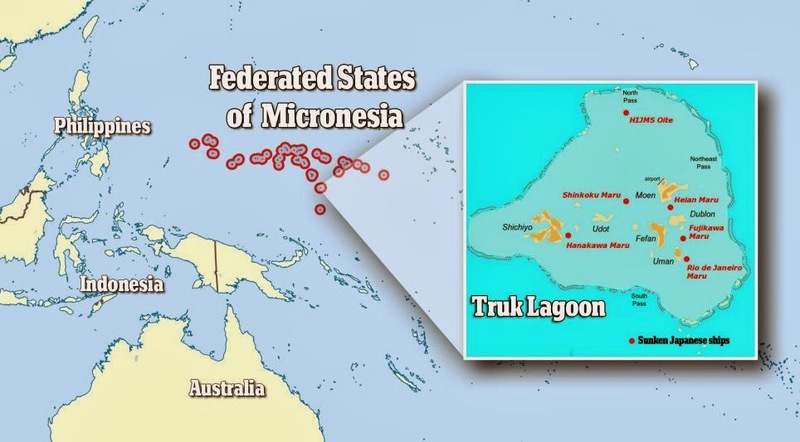 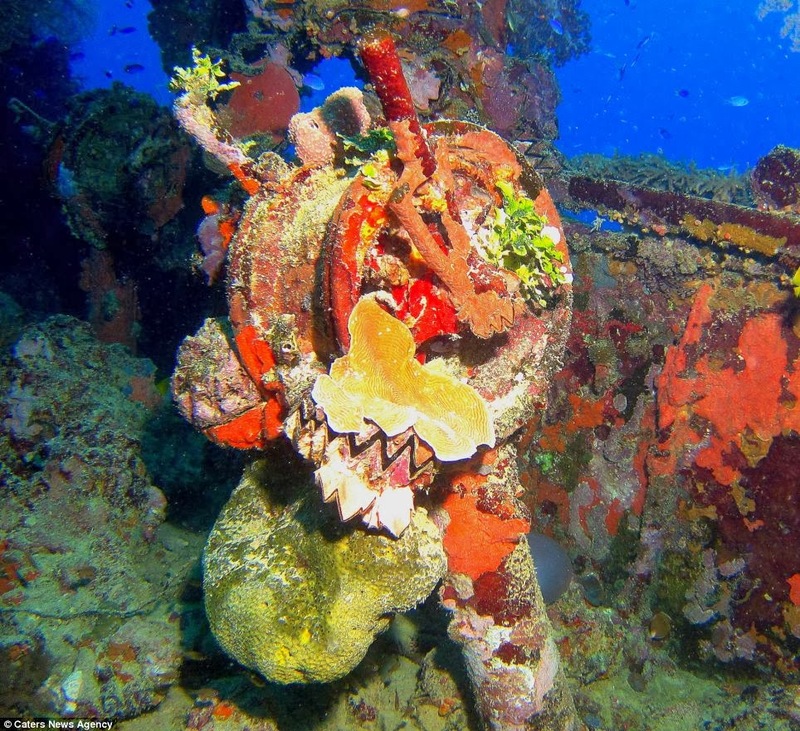 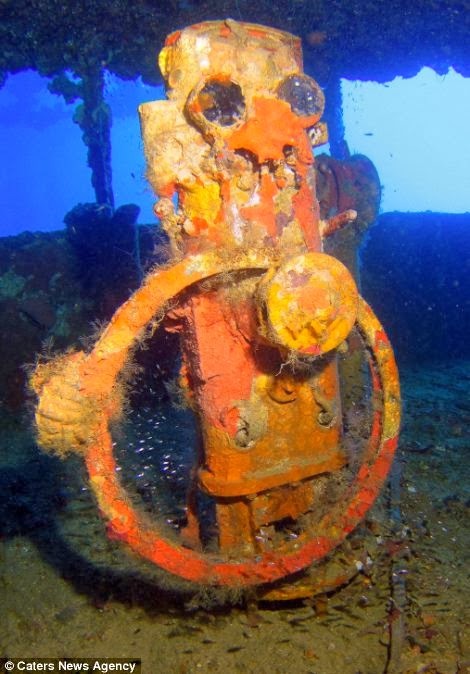 The body of water, formally known as Truk Lagoon, is now considered to be one of the top wreck diving destinations in the world. 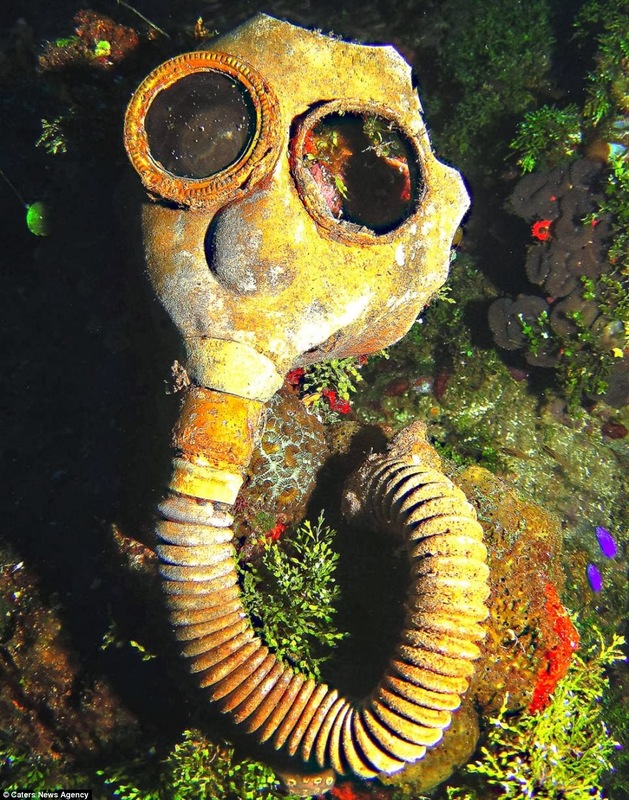 Photographer Super Jolly, from Wraysbury, Berkshire, described the shoot as 'one of the scariest' dives she has ever done.